In normal times a scandal like what's unfolding in North Carolina would be major headline material. "Republicans Caught Fixing an Election." In the Age of Trump, it's just one more example of hypocrisy on steroids. Since 2016 when Trump stumped around the country lying about everything from the Democrats cheating in elections to all Mexicans being rapists, serial killers, etc., his favorite theme has been "fake" this...and that. After slithering into the White House with Putin's assistance, one of the first things Trump did was appoint a committee to explore voter fraud...headed up by serial liar, Trump devotee, and Kansas Secretary of State, Kris Koback. The committee was shut down shortly after it's launch after being exposed as a partisan attack going nowhere. 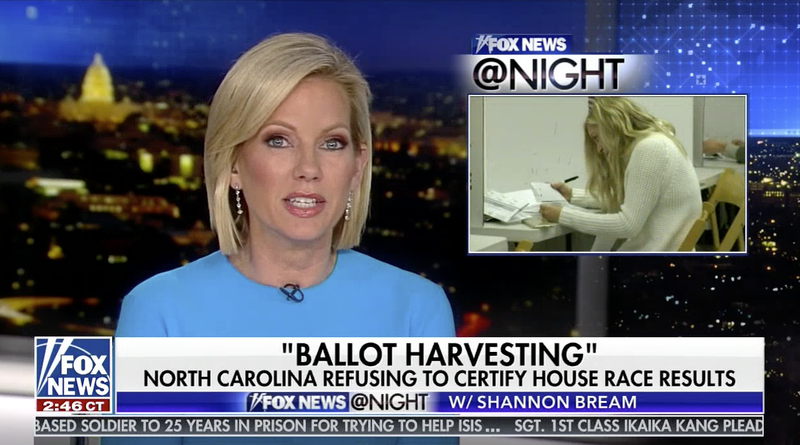 North Carolina Republican, McCrae Dowless, stands accused of orchestrating a sweeping voter-fraud operation in Bladen County—allegedly to benefit a Republican candidate for U.S. House. In North Carolina's early polling, when it looked like the race was going to be close, Republican operatives filed claims (without evidence) of voter fraud with county boards of election across the state. The irony is as thick as a brick. At this time there's an investigation with plans for an evidentiary hearing for those cheating Trumpublicans, no later than December 21. More than likely, there will be a new election.